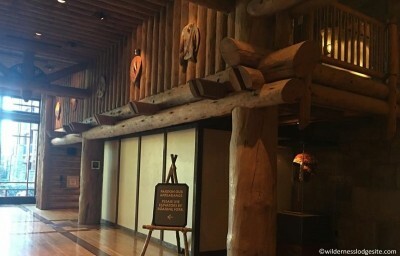 Disney’s Wilderness Lodge is in the midst of a major refurbishment that includes the construction of waterfront cabins for the Disney Vacation Club. 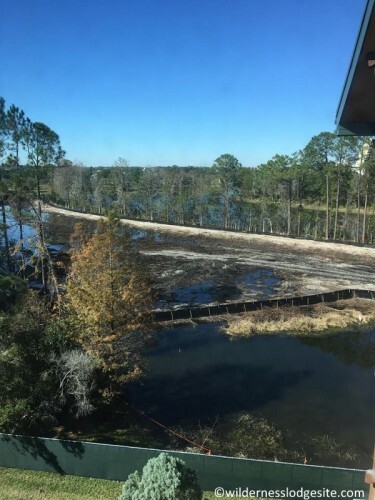 In recent weeks we’ve been seeing reports from guests about wooded areas being cut down and large sections of the resort closed off. The photo above shows the northwest side of the resort from the fifth floor – looking out toward the direction of the Contemporary and the Magic Kingdom. It clearly shows that a major area of woodlands has been cut down. This means, if you’re looking for a “woods view” room on the north side of the lodge you’re out of luck. There are also some major changes happening inside the main lodge. It appears that the area of the lodge directly above the front desk is completely closed off. In the photo above you can see the front desk at the bottom and every floor above is blocked by construction barriers. It seems that the “minor disruptions” that were reported by guests when this construction project first started in October 2015 appear to be getting bigger. This DVC-centered project will be ongoing through 2017. Will you be choosing to stay at a different resort hotel for your next Walt Disney World Resort vacation? I’m getting a bit worried going end of august and we have never been before, we booked the hotel for certain attractions and they are no longer available. Also I don’t know if the hotel will be really empty as you are no longer able to book it. Beth – We understand your frustration and would suggest talking to your travel agent and contacting Disney to see if you can move to a different resort. The WL is still available for booking (we checked today on the Disney website), but there is quite a bit of work going on at the hotel. The main pool is still open though and should not be closing. Most of the work is being done near the waterfront for the cabins, but there is some rather extensive work happening inside the lodge too. 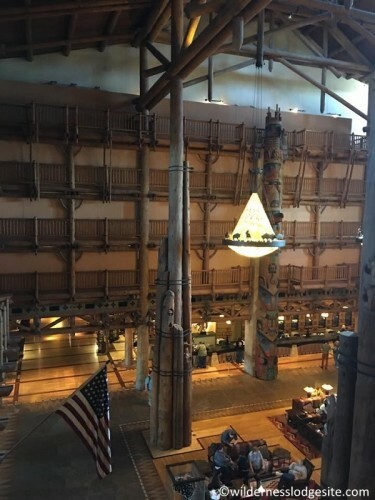 The hotel won’t be empty – even at the height of the construction at Disney’s Polynesian Village Resort a couple years ago it was still a bustling hotel. I think you can expect the same at the Wilderness Lodge. Good luck! We just stayed at Poly, and miss the beaches before bungalows there. So nice to sway under a palm tree in a hammock, and enjoy the panoramic views. Now most of the beaches on that side are just ornamental, not usable. To answer your question, I wouldn’t stay during the major Reno. We were booked at Poly 2 yrs ago but when heard about all the construction we switched resorts, and waited till Aug 2015 to return. By then the major construction was done. Only construction was quiet pool and some exterior work on a longhouse. Relatively little impact on our stay. I’m glad we waited.